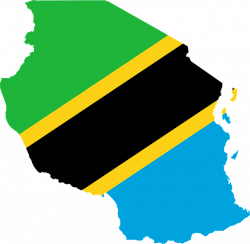 This publication contains Tanzanian public procurement data retrieved from the issues of Tanzania Procurement Journal between 2009 and 2016. The dataset was compiled as a part of the research project ‘Quantitative corruption analysis: implementation and case study’ with the ultimate aim of exploring ways to increase transparency and integrity through Big Data solutions. The research project was carried out by researchers from the Mathematical Institute (University of Oxford), Statistical Services Centre (University of Reading), Department of Sociology (University of Cambridge), Department of Politics (University of Sussex), and the African Institute of Mathematical Sciences (Tanzania). GTI contributed to data collection, data cleaning and database building. The research is supported by an EPSRC Global Challenges Research Fund Institutional Sponsorship 2016 grant held at the University of Oxford (Project: D4D01260, Task: BKA1.02).